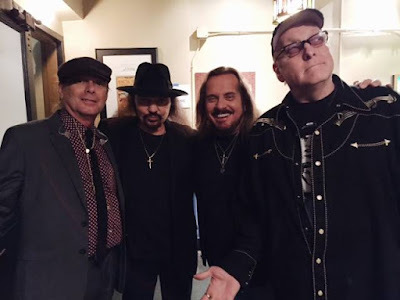 In July, video surfaced of Cheap Trick performing the Lynyrd Skynyrd classic “Gimme Back My Bullets” from an all-star tribute concert to the southern rock icons held at the Fox Theatre in Atlanta in November of 2014. The footage was a preview to the release of “One More For The Fans”, a 2CD/DVD set featuring highlights from the event that included performances by Lynyrd Skynyrd as well as young talent and music legends like Trace Adkins, Alabama, Gregg Allman, Blackberry Smoke, Charlie Daniels, Peter Frampton, Gov’t Mule, Warren Haynes, John Hiatt and many more. Check out the No. 6 hennemusic story of 2015 on LYNYRD SKYNYRD here.